Mobile cryptocurrency platform Totalcoin to add support for Ripple. Users of Totalcoin will be able to create wallets for XRP in addition to Bitcoin, Ethereum, Litecoin, and Dash wallets. For the first time in the history of cryptocurrency XRP can be transferred anywhere in the world by phone number. The update is currently being tested and will be released soon. Moreover, Totalcoin added a feature of instant exchange of Bitcoin Cash ABC and Bitcoin Cash SV for Bitcoin and vice versa. The platform now supports 20 cryptocurrencies for exchange. The nearest plans of Totalcoin are the development of a web version of the app, increase of the number of supported cryptocurrencies, and redesign of user interface elements. 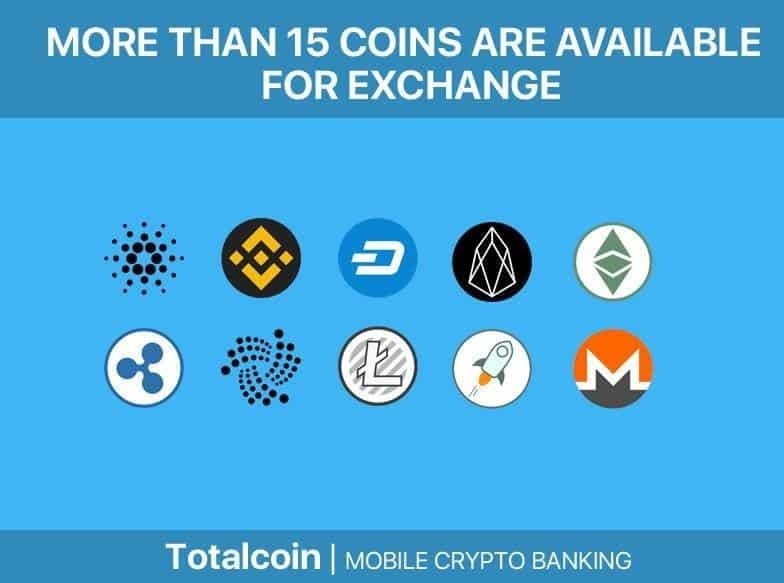 Totalcoin is a unique mobile cryptocurrency app, that combines a cryptocurrency wallet, p2p platform for buying and selling Bitcoin, and an opportunity to instantly exchange Bitcoin for another cryptocurrency and vice versa. Beta testing of Totalcoin was successfully completed late in 2018. The app has been downloaded more than 15 thousand times. 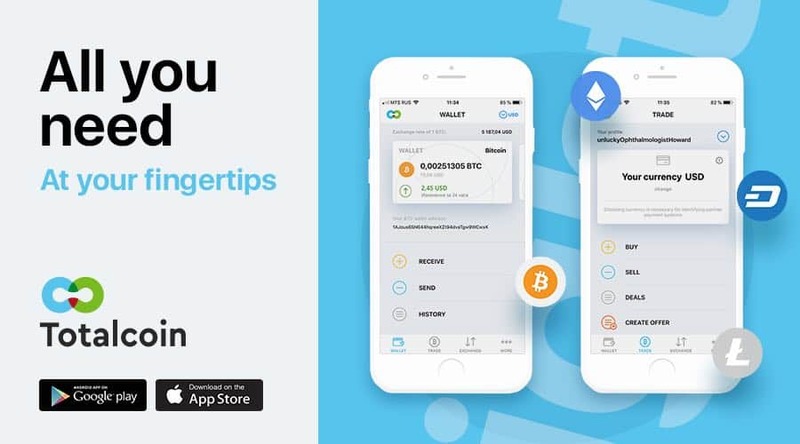 Major advantages of the app are low fees, built-in cryptocurrency wallet, opportunity to send cryptocurrency using phone number, live customer support, convenient user interface, and profitable referral program.